We love a cup of hot cocoa as a special treat this time of year but we've noticed that the ingredient lists on some of our favorite instant mixes are looking pretty heavy in the chemical department. So here's a way cheaper, and just as good option, using just three ingredients! Place the cocoa powder and syrup in the bottom of a mug and then gradually add the hot milk, stirring as you pour. 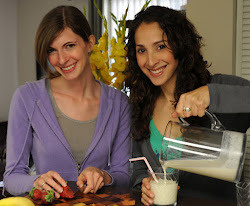 Blend well and serve! To say that we live for butternut squash season would be an understatement. We are full of butternut squash recipes. From Roasted Veggies, to Spooky Soup, we are obsessed! One of the most common questions we get whenever we mention butternut squash is, "how the heck do I cut this thing without losing a finger?" Breaking down a butternut squash can seem daunting, here's our favorite way to carve and cube one of these (while keeping all your appendages). If you're feeling thrifty, many stores now offer pre-cut butternut squash in the refrigerated produce section- but it will cost you extra per pound. So this is our preferred method for cutting a butternut squash while saving some dough. When shopping, select squash more uniform in shape-this makes cutting easier. Rinse squash thoroughly. 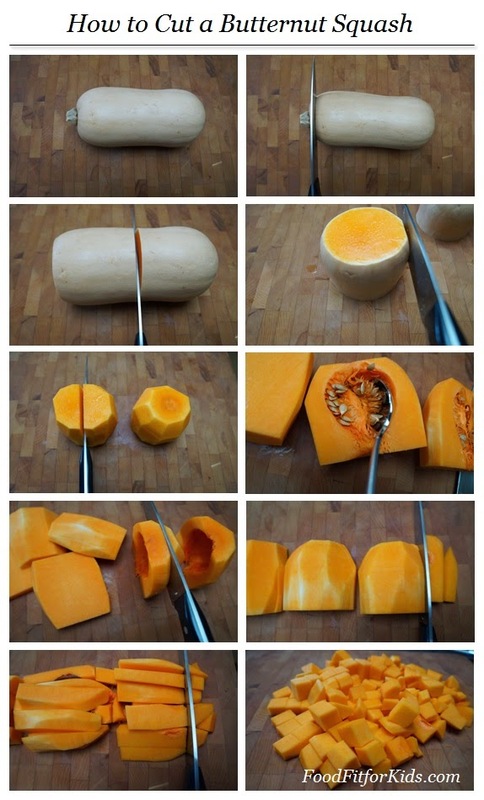 Trim off both ends of the squash. Stand each section on its end and carve the edges away (you can do this with a vegetable peeler, too). Cut each section in half lengthwise. Scoop the seeds out of the round halves. Stand each section back on its end and cut in half again (parallel to the previous cut). Stack the sections, cut side down onto the board and slice. Rotate the slices 90 degrees and cut into cubes. Once you get the hang of it, cutting a butternut squash can be completely painless.